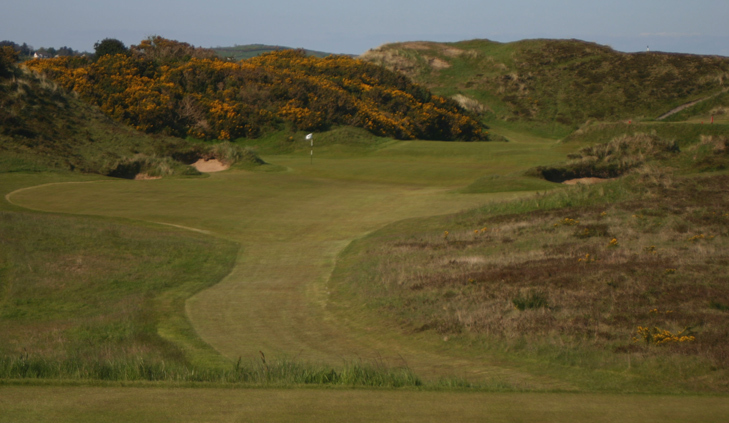 Royal County Down Hole 2: With a blind tee shot and a second shot highlighted by a massive bunker that appears to be next to the green, but is actually 40 yards short, trusting yardage and line are rewarded on this quirky but forgiving par four. If the player and can master his fears of the unknown, par is easy. 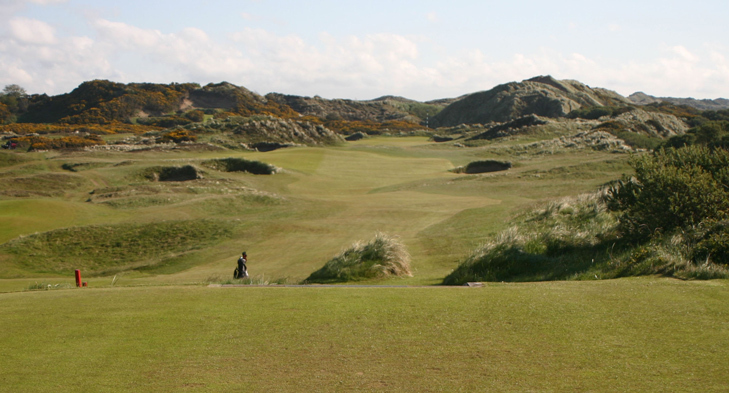 Royal County Down Hole 3: This famous par four is visually stunning with the ocean in sight from the tee and massive dunes behind the green. 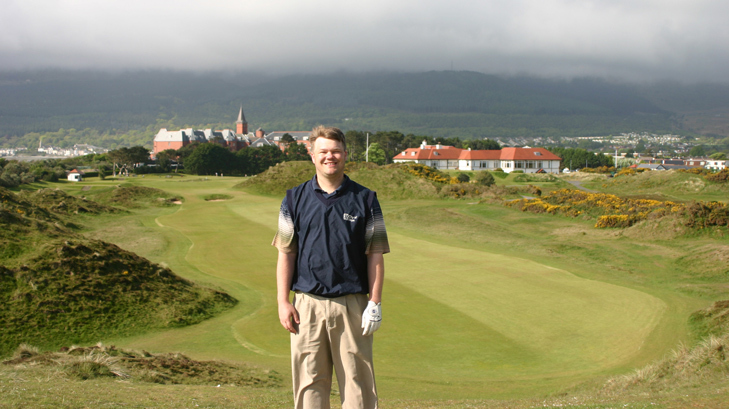 Standing on the putting surface leaves no doubt that the golfer is on links-land. It is also technically difficult as both a well struck drive and approach are mandatory for any chance at par. Royal County Down Hole 4: From the elevated tee, the view to the green is frightening for the shot, but exhilarating for the experience. 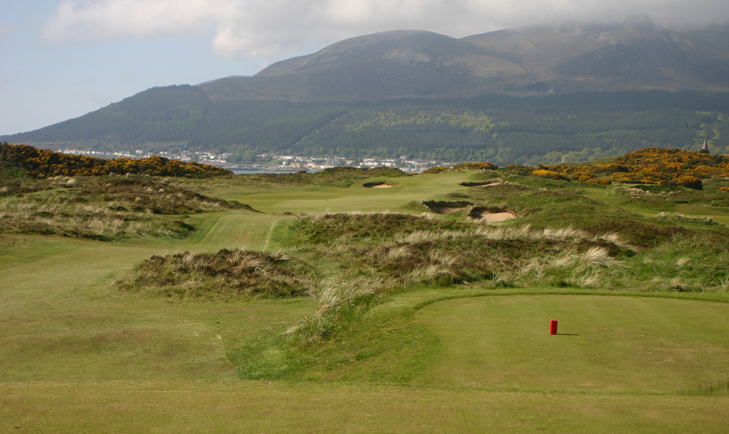 With most of the course in view, the mountains of Mourne, the sea and the town of Newcastle in the background, the player must negotiate the forest of gorse between the tee and the green, taking care not to go right or long as well. Royal County Down Hole 7: One of the true great short par threes in the world seems so easy on paper, but requires true precision. The large bunker in front of the green shows the obvious trouble, but the green falls away from the player and the left third drops sharply off to the left and drains into the course’s deepest collection bunker that will render par all but impossible. A hump right of the green and another steep slope behind the green will reject all shots, so distance and accuracy must be perfect. 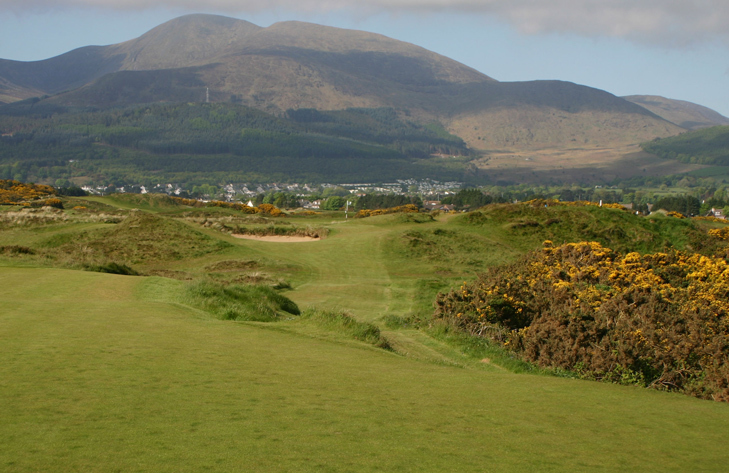 Royal County Down Hole 8: Only on the near perfect front nine of Royal County Down could a golf hole like this get lost in the shuffle, but the eighth is seldom discussed. It is still a long and challenging par fourth with nice views from the tee box and a very unique and difficult green complex. 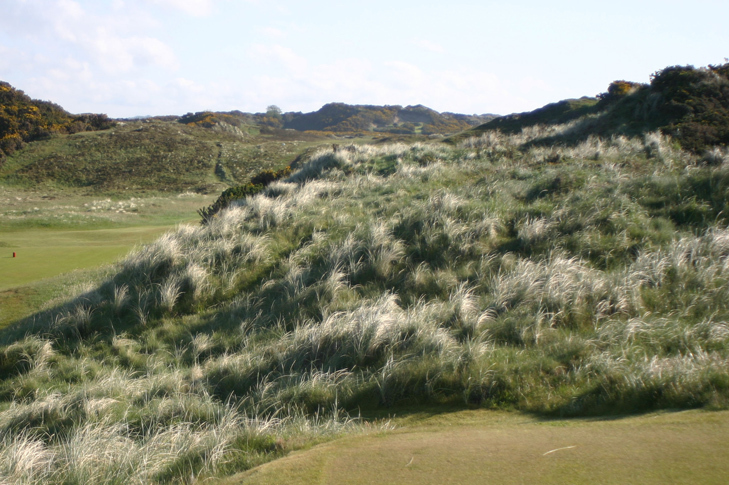 Royal County Down Hole 9: Known as one of the top rated par fours in all the world, this hole features a blind tee shot over the top of the dune into apparent oblivion. 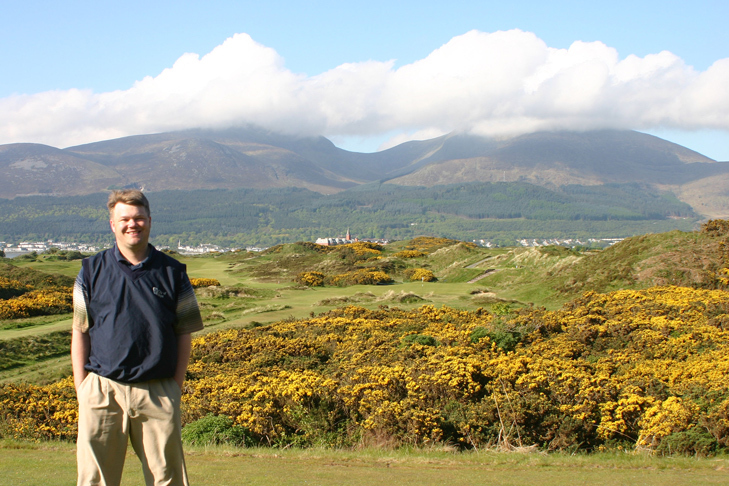 However, the line is marked by the top of the Slieve Donard hotel and the fairway is very generous, making it more than fair, even if scary from tee. From the top of the dune, the view to the fairway below is spectacular. 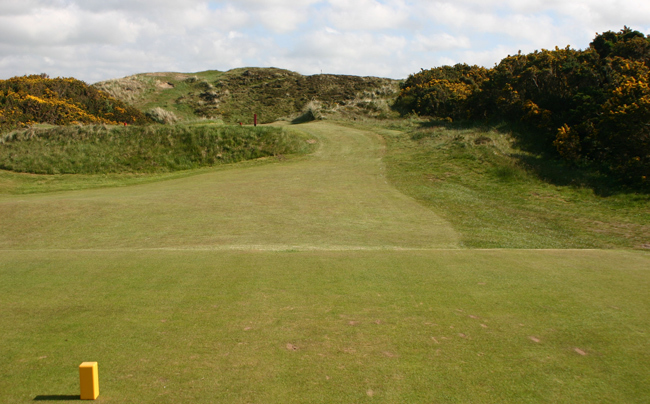 The approach to the green is flat and the green is between dunes right and bunkers left. Royal County Down Hole 10: The par three opener to the back nine seems benign but the green is cunningly sloped and tricky to putt. Dropping a tee shot into one of the pot bunkers is ill-advised. Royal County Down Hole 11: Maybe the most famous blind tee shot in golf, the eleventh is the best of three similar holes on the course and is punishing, not on the drive, which is fairly wide open, but to the green located way up the hill with trouble on all sides in the form of bunkers, hillsides and gorse.